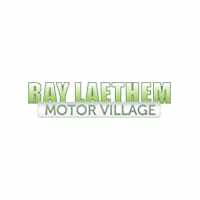 New All New 1500 For Sale in Detroit, MI | Ray Laethem Chrysler Dodge Jeep Ram " "
We will deliver, at no cost to you, your new or pre-owned vehicle anywhere in MI, OH, IN, or IL. Call or email for details. *** WE SPECIALIZE IN CREDIT ISSUES *** Steel Metallic 2019 Ram 1500 Big Horn/Lone Star 4WD 8-Speed Automatic 3.6L V6 24V VVT **HAVE QUESTIONS? TEXT US ANY TIME AT (313)327-3563**, 3.6L V6 24V VVT. Recent Arrival! We will deliver, at no cost to you, your new or pre-owned vehicle anywhere in MI, OH, IN, or IL. Call or email for details. *** WE SPECIALIZE IN CREDIT ISSUES *** Bright White Clearcoat 2019 Ram 1500 Tradesman 4WD 8-Speed Automatic HEMI 5.7L V8 Multi Displacement VVT **HAVE QUESTIONS? TEXT US ANY TIME AT (313)327-3563**, ABS brakes, Compass, Electronic Stability Control, Heated door mirrors, Illuminated entry, Low tire pressure warning, Remote keyless entry, Traction control. We will deliver, at no cost to you, your new or pre-owned vehicle anywhere in MI, OH, IN, or IL. Call or email for details. *** WE SPECIALIZE IN CREDIT ISSUES *** Blue Streak 2019 Ram 1500 Big Horn/Lone Star 4WD 8-Speed Automatic 3.6L V6 24V VVT **HAVE QUESTIONS? TEXT US ANY TIME AT (313)327-3563**. We will deliver, at no cost to you, your new or pre-owned vehicle anywhere in MI, OH, IN, or IL. Call or email for details. *** WE SPECIALIZE IN CREDIT ISSUES *** Bright White Clearcoat 2019 Ram 1500 Big Horn/Lone Star 4WD 8-Speed Automatic 3.6L V6 24V VVT **HAVE QUESTIONS? TEXT US ANY TIME AT (313)327-3563**. Recent Arrival! We will deliver, at no cost to you, your new or pre-owned vehicle anywhere in MI, OH, IN, or IL. Call or email for details. *** WE SPECIALIZE IN CREDIT ISSUES *** Billet Silver Metallic 2019 Ram 1500 Big Horn/Lone Star 4WD 8-Speed Automatic 3.6L V6 24V VVT **HAVE QUESTIONS? TEXT US ANY TIME AT (313)327-3563**. We will deliver, at no cost to you, your new or pre-owned vehicle anywhere in MI, OH, IN, or IL. Call or email for details. *** WE SPECIALIZE IN CREDIT ISSUES *** Red 2019 Ram 1500 Big Horn/Lone Star 4WD 8-Speed Automatic 3.6L V6 24V VVT **HAVE QUESTIONS? TEXT US ANY TIME AT (313)327-3563**. We will deliver, at no cost to you, your new or pre-owned vehicle anywhere in MI, OH, IN, or IL. Call or email for details. *** WE SPECIALIZE IN CREDIT ISSUES *** Diamond Black 2019 Ram 1500 Big Horn/Lone Star 4WD 8-Speed Automatic 3.6L V6 24V VVT **HAVE QUESTIONS? TEXT US ANY TIME AT (313)327-3563**. Recent Arrival! We will deliver, at no cost to you, your new or pre-owned vehicle anywhere in MI, OH, IN, or IL. Call or email for details. *** WE SPECIALIZE IN CREDIT ISSUES *** Crystal Metallic 2019 Ram 1500 Big Horn/Lone Star 4WD 8-Speed Automatic 3.6L V6 24V VVT **HAVE QUESTIONS? TEXT US ANY TIME AT (313)327-3563**. We will deliver, at no cost to you, your new or pre-owned vehicle anywhere in MI, OH, IN, or IL. Call or email for details. *** WE SPECIALIZE IN CREDIT ISSUES *** Bright White Clearcoat 2019 Ram 1500 Big Horn/Lone Star 4WD 8-Speed Automatic 3.6L V6 24V VVT **HAVE QUESTIONS? TEXT US ANY TIME AT (313)327-3563**, 3.6L V6 24V VVT. Recent Arrival!